Your credit score is one of the most important markers of your financial wellbeing. A strong score will net you the best interest rates on car loans, a mortgage, and credit cards. A weak score can leave you struggling to get approved for financing at all. It's vital that you regularly check your credit score and make efforts to keep it on the up and up. Not sure how to do this? It's easy. All you need is five minutes. You actually have several credit scores. FICO credit scores are the ones that most lenders check, but there are even several different FICO scores. The most common one that lenders use today is the FICO Score 8. VantageScore is another type of credit score that lenders use. Both FICO and VantageScore use a scale of 300 to 850. Each three-digit credit score that you have is generated using the information in your credit reports. They serve as a designation of your risk level, and tell lenders whether you have a history of paying your bills on time and managing your credit well. If you have a strong credit history, your score will be higher. If you have managed your finances poorly, your score will probably be low. In general, most lenders consider a FICO credit score of 740 or higher to be a good one. A score under 640 could make it difficult to qualify for auto or mortgage loans or earn the best credit card offers. Knowing your credit score is important, especially before you plan to make any large purchases or try to qualify for financing. If your score is low, lenders might not approve you for that loan at all. If they do, they'll charge you higher interest rates to protect themselves from the increased risk they are taking on by lending to you. With higher interest rates, your monthly payments on mortgage, student, auto, and personal loans will be higher. Your credit cards, too, will come with higher interest rates, which will cost you if you carry a balance on them each month. If you know your score is low, you can take steps to steadily build it before you apply for new loans or credit cards. It's also important to keep an eye on your credit for any strange activity. If your score suddenly plummets due to a late payment you know you made on time, it's important to take steps to correct the mistake on your credit report ASAP. You can order your FICO score from myFICO.com. Depending on how much information you request, ordering your score can cost you from $19.95 to $59.85. For $19.95, you can order your FICO score from one of the credit reporting bureaus: Experian, Equifax, or TransUnion. For $59.85, you can order your FICO score from all three credit bureaus. You can also order your FICO score directly from one of the three credit bureaus. Again, you'll have to pay for this, and be careful to read the fine print. For example, Experian offers your FICO Score 8 when you order a $1 copy of your credit report — just be aware you'll be automatically enrolled in their CreditWorks credit monitoring program, and will be charged $21.95 a month if you forget to opt out. Experian also offers the option to order FICO scores from all three bureaus for $39.99. The other bureaus charge similar prices. Several websites, such as CreditSesame, also offer free credit scores. These scores might not always be the official FICO scores that lenders use, but they will still give you a ballpark idea of how strong or weak your credit is. Just make sure that the site you order your free scores from doesn't ask for your credit card number. If it does, you might accidentally sign up for a credit monitoring service that will charge you each month until you remember to cancel it. Your credit card provider might also provide you a free version of your credit score. 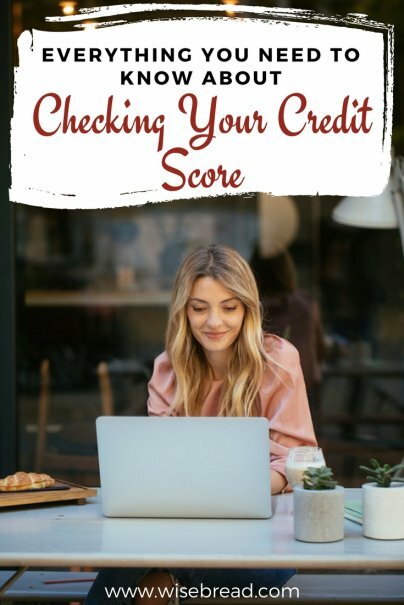 Again, this might not be an official FICO score, but it will also give you a sense of whether you need to work on improving your credit. Once you know your credit score — or at least one of them — it's time to take steps to improve it. You'll have to practice sound financial habits over time to see an improvement. The best way to boost your score is to make all of your payments on time. If you build a long record of on-time payments, your score will gradually improve. At the same time, work on paying down your credit card debt. Your score will suffer if you have too much revolving debt, so work to chip away at it as best as you can. Always make more than the minimum required monthly payment. You'll never pay down your credit card debt by only paying the minimum. Don't close credit cards you aren't using. Closing an account will automatically boost the percentage of your available credit that you are using, which will cause your score to fall. But don't ignore your credit cards, either. Buying items with your card and immediately making your payment is a great way to build your score. Make sure you only charge what you can afford to pay back in full each month. Is It Worth Paying for Your Credit Score?